Not dead yet. Trying to get things nailed down in preparation for the total solar eclipse next month. 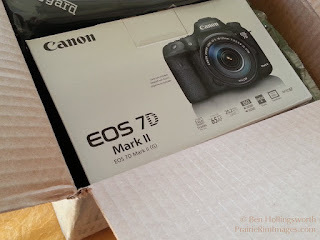 After almost six years of loving my Canon 7D camera body, I finally upgraded to a new 7D mark II. The 7D mk 2 is a great camera--many people refer to it as the little brother of Canon's flagship 1DX body--so I knew I'd enjoy it once I got settled in. What I didn't know is just how long it would take me to get settled in. 24 hours and about 700 photos after I unboxed it, I wanted to share my first impressions of Canon's premier APS-C camera. I've been shooting with off-camera flashes for several years now. I generally trigger them wirelessly using my Cactus V4 radio triggers. Toward the end of my son's last soccer season, it occurred to me that I could probably use the same technology to fire a remote camera instead of a strobe. Since that epiphany, my theory has been confirmed by several blog posts by Scott Kelby, who used Pocket Wizards to trigger remote cameras at the NFL football games he photographs. I was finally able to try this technique for the first time while shooting the neighborhood boys jumping their bikes and while shooting my son's YMCA soccer game. The theory worked well, but doing it efficiently was more difficult than I expected. This past Monday night--actually the morning of Tuesday, 15 April--the Western Hemisphere got to enjoy the first of four full lunar eclipses in the next 18 months. Although it was cold and the event occurred in the wee hours of the morning, local time, the skies were clear and dead calm, making for excellent photography conditions. I couldn't resist dragging out my big lenses and heading outside at 2am for a little moon-gazing. For the fifth straight year, my daughter (now 12) and I spent two days wandering county roads south of the Platte River between Grand Island and Kearney, Nebraska, in search of Sandhill Cranes. It's an easy search. Half a million of these handsome birds stop in central Nebraska for six weeks each spring to rest and bulk up for their migration to their summer breeding grounds in Canada, Alaska, and Siberia. 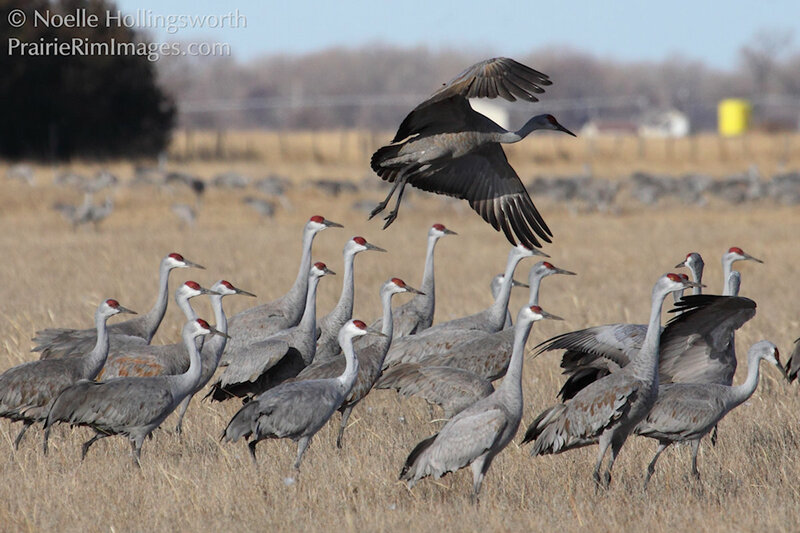 This year, we found more large gatherings of cranes than ever before. That, combined with the better lenses we took with us, made for a very productive photo outing.